I chanced upon a review of Gothic Blue Book III on Goodreads by Die Booth, and she mentioned my poem, The Ballad of Drunken Jack. 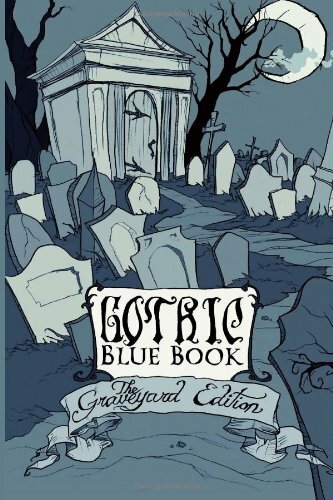 'Gothic Blue Book III: The Graveyard Edition', published by Burial Day Books, is named after the Gothic Blue Books of the 19th century which were often abridged versions of popular gothic novels and as such were looked down upon as poor quality. The name and tone of 'Gothic Blue Book III' is where the similarity ends however, because this book is a great read full of entertaining new horror fiction, with most of the stories featuring a graveyard in some capacity. These tales tend more towards the suspenseful and unsettling than the gory - although a few of them are outright terrifying. There's even a couple of poems thrown into the mix, and as someone not generally very fond of poetry I can confirm that I absolutely loved K.R. Smith's traditional-feeling murder tale 'The ballad of drunken Jack'. The standout for me though has to be Jessica McHugh's 'Auntie Grave', personally one of the best horror shorts I've read in a long time, beautifully written, believably characterised and memorably unsettling. Thank you, Ms. Booth! In my unbiased opinion, you are a person of superior intellect with refined literary tastes. Woohoo!! Congratulations! Very exciting... I'm very happy for you. (I didn't want to keep making exclamatory statements, but let it be understood that the last two bits should read as having exclamation marks) How wonderful to have your work recognized and appreciated. I'm honestly tickled pink. You're going to preserve that review in some way, aren't you? I like how he mentioned that the poem was "traditional-feeling' as this was exactly how I wanted it to feel. I have a copy of the web page, and my post here, and since you can never get rid of anything once it's on the Internet, I believe it will be preserved for all time!